JOB DESCRIPTION: Responsible for customer service and accurate data entry. Provides training and guidance to Player Development Associates and Valet. Assist and be responsible for identifying players and effectively cultivating a relationship with them. The key factor to the player is 'Service' and the Player's Club is designed to be a superior form of Guest service. Promptly greet guests in a courteous and professional manner, enrolls new members in the Player's Club, explains the advantages/benefits of membership in the Player's Club. Responsible for maintaining knowledge regarding the events/services in the Casino, assists with promotions as requested. Responsible for demonstrating courtesy, respect and sensitivity to the needs of every person, guests and co-workers. Provides guidance to Player Development Associates and Valet. Ability to communicate with guests effectively. Ability to explain the advantages and benefits of the players club card. Ability to accurately record data. Physically capable of sitting, standing and walking for long periods of time. 031 Assistant Marketing Director in Leech Lake Gaming Office, Cass Lake, Mn. 685 Player Development Associate in Northern Lights Casino Marketing Dept., Walker, Mn. 545 Casino Host / Hostess in White Oak Casino Marketing Dept., Deer River, Mn. 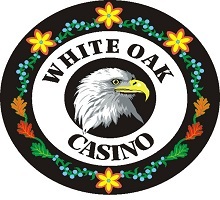 685 Player Development Associate in White Oak Casino Marketing Dept., Deer River, Mn. 498 Marketing Call Center Service Representative in Leech Lake Gaming Office, Cass Lake, Mn.